+ $39 for 1 site. PeepSo is the next generation of social networking plugins for WordPress. It allows you to create your own online community in just a few clicks. 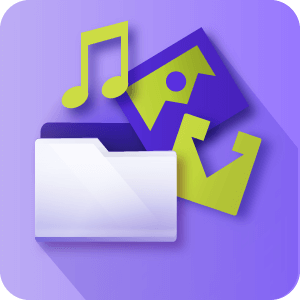 Download Manager is considered the best download manager plugin for WordPress and once integrated with PeepSo adds the ability to share files with other members or groups within PeepSo based on specific access restriction rules which you can set. 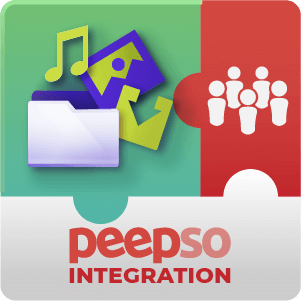 The PeepSo Download Manager AddOn allow each PeepSo member to upload files which will be shown in his profile. 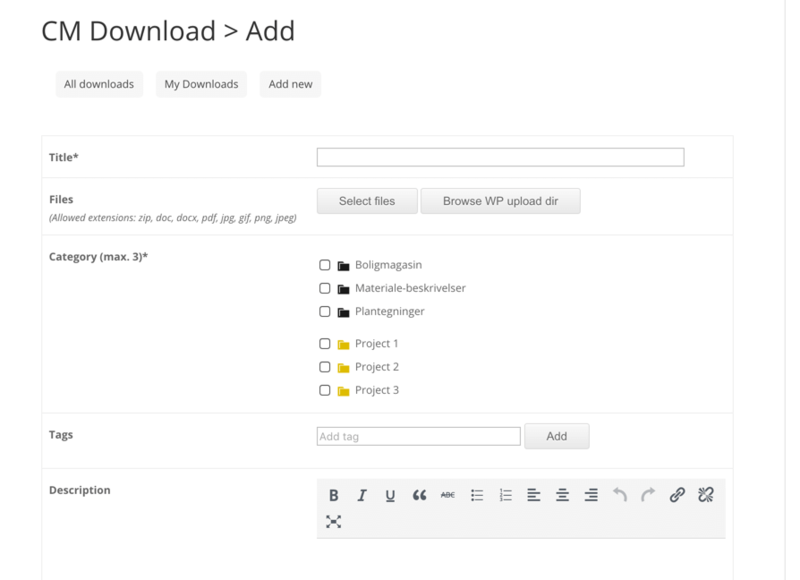 Once a user upload a file is also added to the feed and appears in his wall. The Download Manager and the Peepso Addon can also be integrated with the MicroPayment plugin in such a way that a user will gain virtual currency or points for uploading file or downloading them. 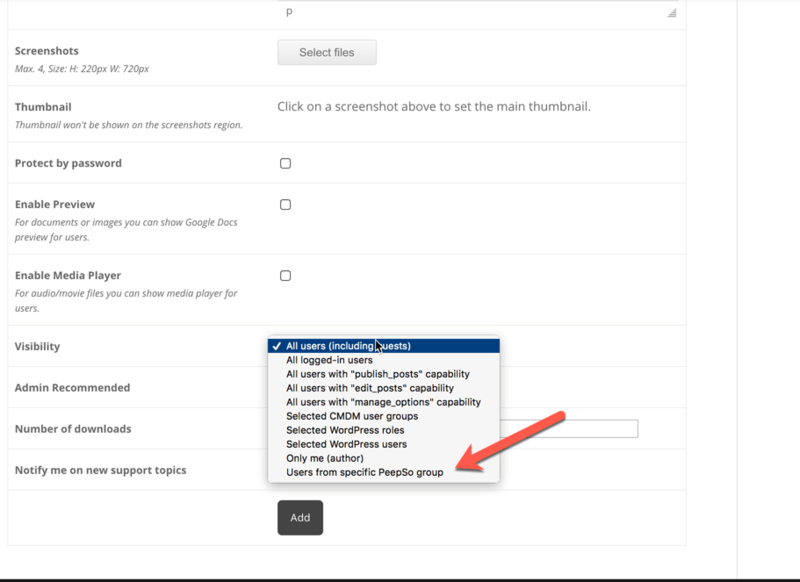 The setting for the amount of points granted or charged for uploads or downloads is available in the plugin settings after installing all modules. CM Downloads bbPress Addon allows you to integrate your download page with a bbPress topic. The bbPress topic can replace the built-in CMDM support forum. 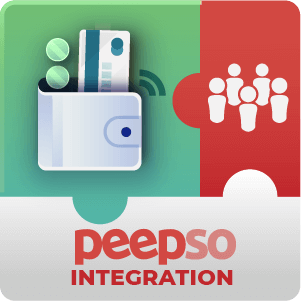 This AddOn for CM MicroPayment and PeepSo supports adding virtual wallet functionality to a PeepSo social network. 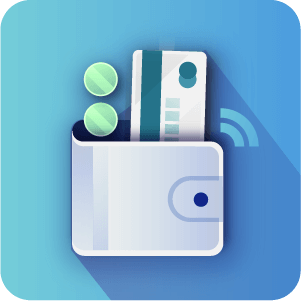 A new tab will appear on PeepSo members' profiles to show the user's wallet and transaction history. Admins can define a bonus currency or charge for posting and other PeepSo related actions. 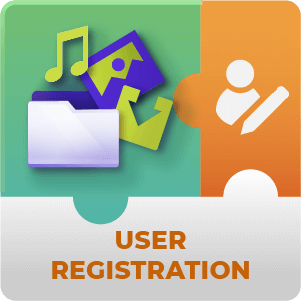 The number of points in the Wallet can also be shown next to the username. 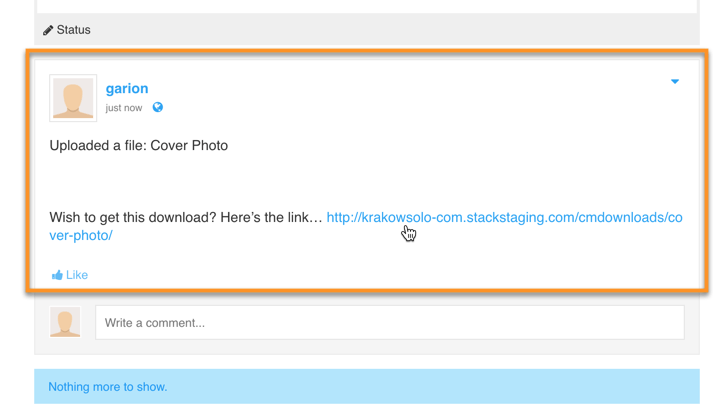 Can the Plugin create a post on the User's feed whenever they upload a file? Yes. 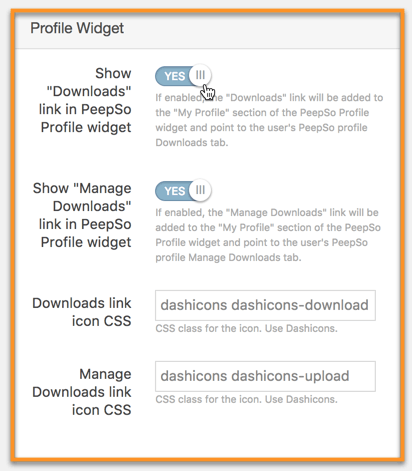 It’s possible to post activity on their feed whenever they’ve posted a file, this is toggled in the Activity Feed section of the Plugin Configuration settings in the PeepSo settings on the admin panel (Peepso → Configuration → CM Download Manager). 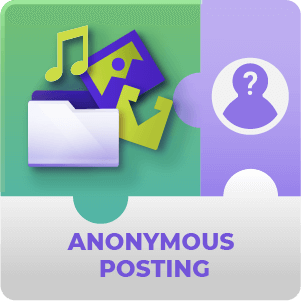 To learn more about activity feed posting see this Help Article. Can I customize the activity feed post that is posted when a user uploads something? Yes. There’s a textbox where you can create a template post for when a user uploads something using the Plugin. It includes shortcodes that can be included to add information directly related to what they uploaded. Can the link to the users' Manage Downloads sections be added to the widget? Yes. 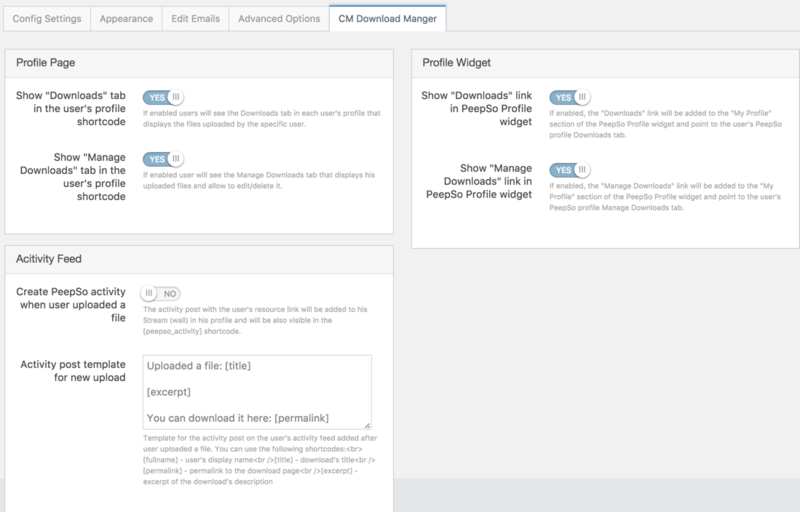 A link to the Manage Downloads for PeepSo users can be added to the widget. 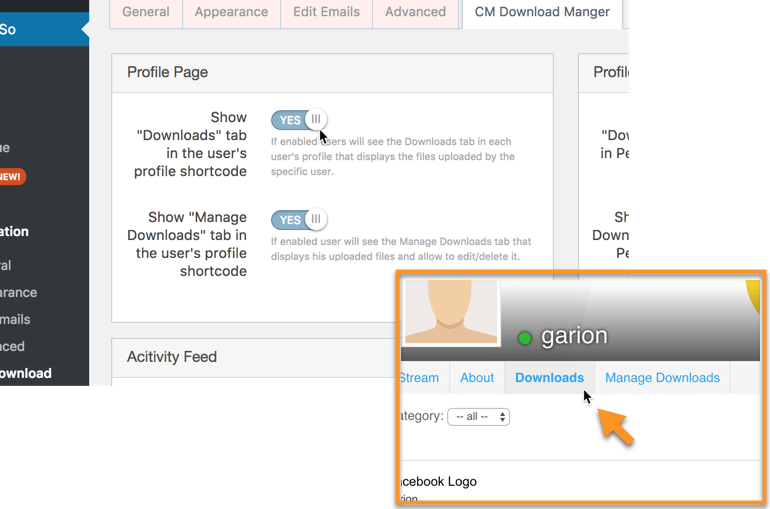 This can be done through the configuration settings (Peepso → Configuration → CM Downloads Manager → Profile Widget). 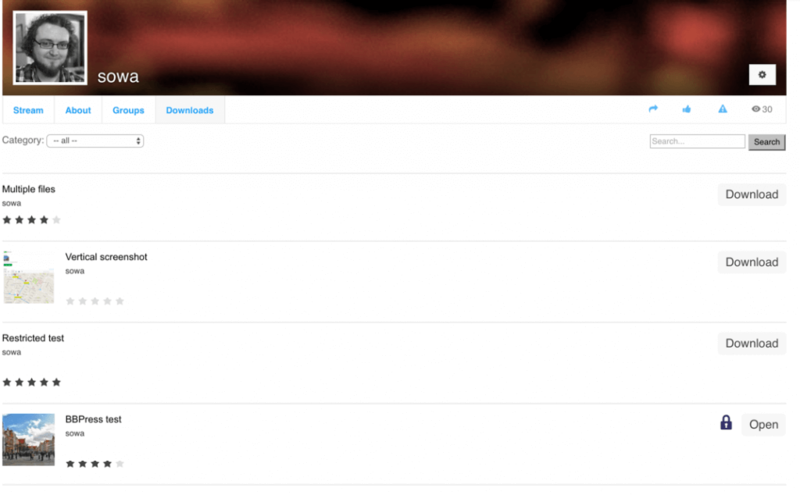 Can I enable and disable the display of a tab in the users PeepSo Profile to go to Downloads? Yes. There’s the option within the configuration settings to toggle this on or off. 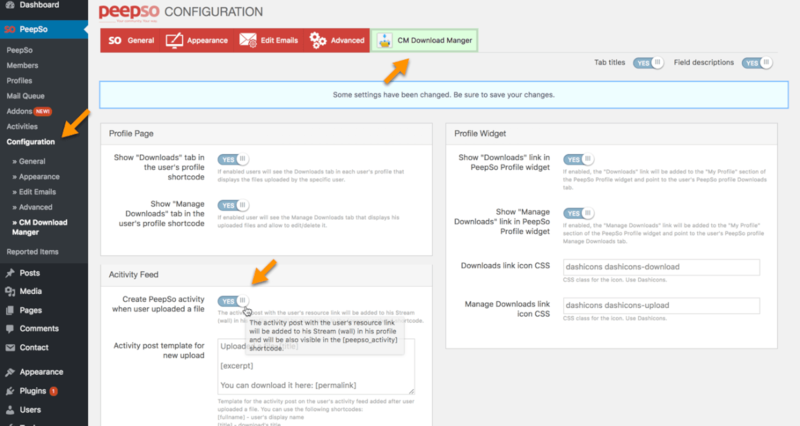 Go to PeepSo → Configuration → CM Download Manager → Profile Page. Is it possible to change the icons that appear for Downloads or Manage Downloads within the widget? Yes. The icons that appear here are from the DashIcons library. There is a field within the Plugin settings that allows for the icon to be changed by selecting the CSS class of a different icon from the library. 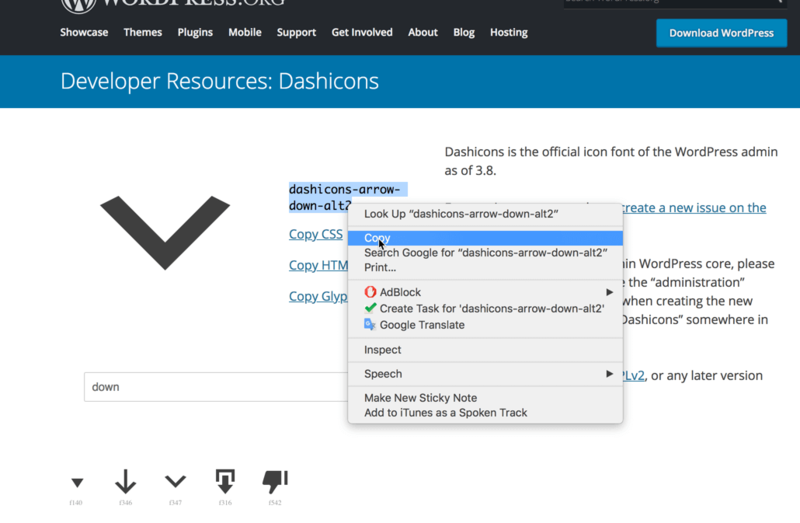 Go to https://developer.wordpress.org/resource/dashicons and search for an icon that you would rather use. 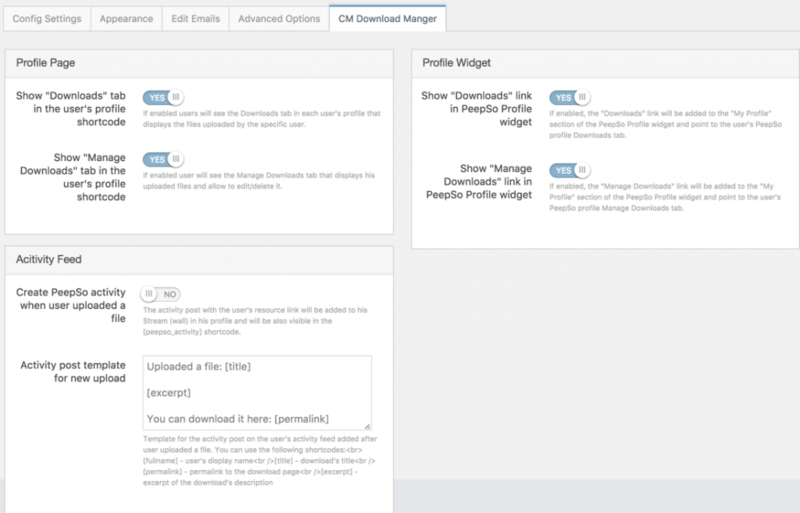 Copy the class given and place this into the field in the PeepSo Downloads Manager configuration settings (Peepso → Configuration → CM Download Manager → Profile Widget). To learn more about changing the DashIcons see this Help article. Fix bug with latest version of PeepSo compatibility. Fixed bug with icons not showing. Changes related to the new PeepSo Core version (new navigation filters). Fixed issue with version warning. Updated requirements notification to be more clear. Updated menu links icons, added option to set the icon in settings.